Home › Investing › Financial Calculators › How Much Should I Save? 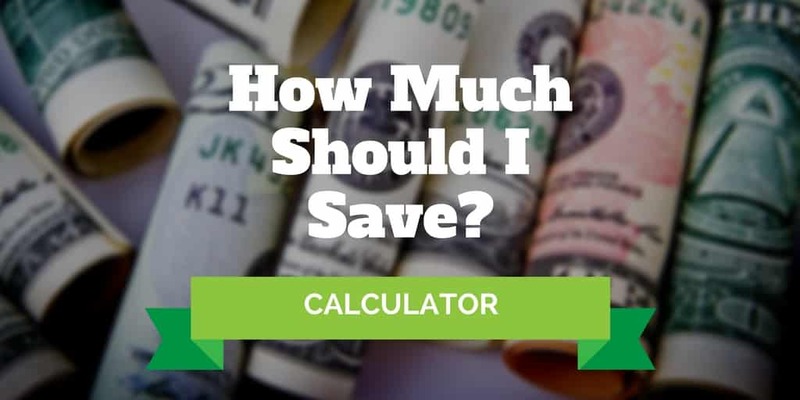 Check out this savings calculator to help you figure out how much you should save. If you are saving for retirement, use this retirement calculator to calculate how much you should save to reach your financial goal. Or use it to calculate how much you need to save monthly to pay for a vacation, a home, or a car. All you need to do is enter the amount you wish to save, the interest rate you can receive on your savings, and the number of months. Our Savings Calculator will then tell you how much you need to be saving each month in order to reach your financial aim. Whether you are looking for a retirement calculator, student loan calculator, or mortgage calculator, it will help you figure out quickly how much you need to squirrel away every month. ‹ What Are The Best Stocks To Buy Now?